VyprVPN, the fastest VPN service with private VPN servers to encrypt and secure your Internet connection while simultaneously delivering unparalleled speed and security, protecting your personal communications and data. 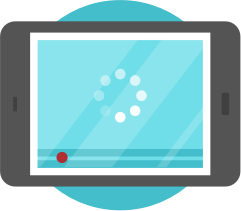 With VyprVPN you can achieve top Internet speeds while streaming videos, shows or other content. 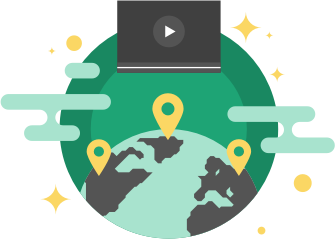 Connect to any of our 70+ server locations worldwide while keeping your IP address, location and Internet traffic private, without sacrificing your speed. Don't allow your ISP to slow you down or throttle your Internet connection. With VyprVPN, the fastest VPN service, your ISP only sees encrypted traffic, meaning it will have difficulty throttling your connection based on the websites you visit. This results in faster, unrestricted Internet speeds. Struggling with a congested network? Our engineers build and manage our global VPN network to provide the fastest throughput to your location. 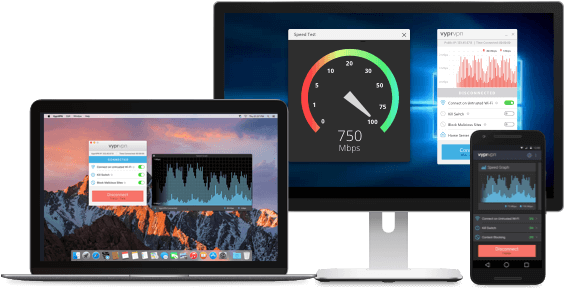 This helps you bypass your ISP's congested networks to receive faster speeds while streaming videos on YouTube, Hulu and other sites.